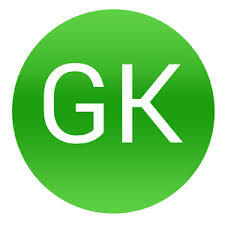 General Knowledge Question Related to World Gk Set 8 And Date Wise 25-11-2017 For All Examinations Which among the following rock system in India is also known as storehouse of minerals And provide the general question relating to the Indian constitution, that will much more and General knowledge questions and answers – for all competitive exams – MBA entrance, bank exams, RRB – Railway Recruitment Board And CAT, MAT, SBI-PO, RBI And Railway, Indian Army , Rajasthan,Delhi Police Related Study material And All competitive Exams. Question. (1) Who is the world’s leading producer of cardamom in the world? विश्व में इलायचीं का सबसे प्रमुख उत्पादक देश कौन है ? Question. (2) Who is the most productive country of opium in the world? विश्व में अफीम का सर्वाधिक उत्पादन देश कौन है ? Question. (3) Where is the highest potato in the world? विश्व में सर्वाधिक आलू कहाँ पैदा होता है ? Question. (4) The world the largest producer of grapes in the world? विश्व में अंगूर का सर्वाधिक उत्पादन करने वाला देश है ? Question. (5) The world, olive is grown in a wide area? विश्व में जैतून विस्तृत क्षेत्र में उगाया जाता है ? Question. (6) World’s largest producer of bananas? विश्व में केले का सबसे बड़ा उत्पादक है ? Question. (7) Which country has the world’s first place in milk production? दुग्ध उत्पादन में किस देश का विश्व में प्रथम स्थान है ? Question. (8) The world the largest producer of them in the world? विश्व में उन का सर्वाधिक उत्पादन करने वाला देश है ? Question. (9) Which country is the largest area under cotton in the world? विश्व में कपास की कृषि के अन्तगर्त सर्वाधिक क्षेत्रफल किस देश में पाया जाता है? Question. (10) The world’s largest producer of cotton? विश्व में कपास का वृहत्तम उत्पादक है?